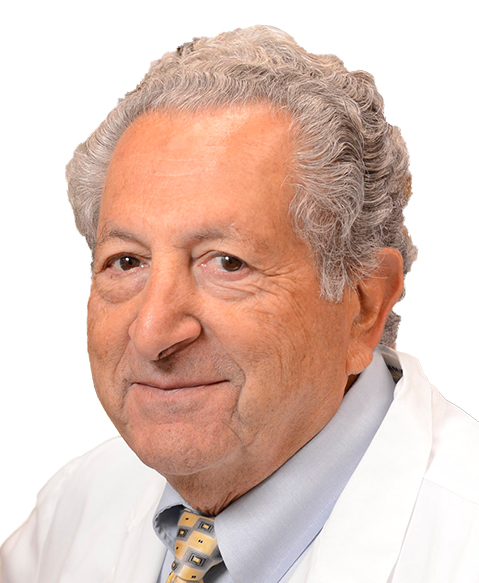 Joseph R. Bertino, MD, focuses on mechanisms of action and resistance mechanisms of anticancer drugs, and new drug development. Dr. Bertino and colleagues reported the observation of amplification of dihydrofolate reductase, opening a new era in drug-resistance research. Later, his studies of methotrexate helped explain why some cancer drugs work and others fail. He and his colleagues published one of the first examples of a cure for diffuse large cell lymphoma with combination chemotherapy. His pioneering work led to the use of leucovorin rescue after high-dose methotrexate to treat lymphomas and solid tumors. He is currently researching potential new drug targets for tumor stem cells in prostate cancer and exploring new treatments for T-cell lymphoma. His research has resulted in new analogues and new treatments being introduced in the clinic, and Dr. Bertino earned international recognition for his role in finding treatments for leukemia and lymphoma. Dr. Bertino, who is the senior adviser to the director of the Rutgers Cancer Institute of New Jersey and university professor of medicine & pharmacology at Robert Wood Johnson Medical School, is a translational investigator who seeks to build bridges between the laboratory and the clinic. The founding editor in chief of Journal of Clinical Oncology, he is an inspirational teacher and collaborator who has guided many of the current leaders in the field of cancer research.